Unforgettable moments at the best cinema in the world: your own home! Watch your favourite movies, delight with your favourite concerts and feel the emotion of your favourite sports matches. 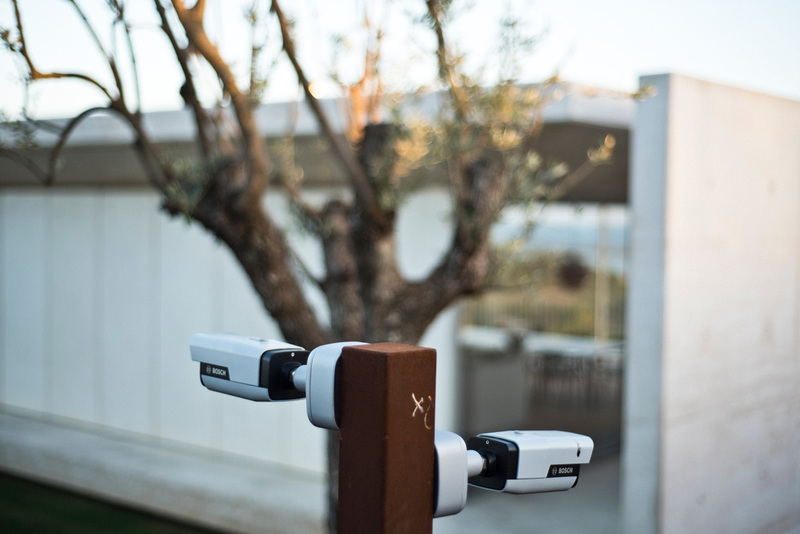 Enjoy the most intense and realistic experiences in your own personal cinema at home and even in your garden. Luxury customized spaces designed with every detail in mind for the full enjoyment of all our clients' desires.
. Easy-to-use interface for choosing movies. Party the night away in private with your favourite ambient or dance music in any room of the house. Get up to date with all the latest TV programmes, watch films or view your photos in your personal library, all using the highest possible sound and image definition and connectivity. 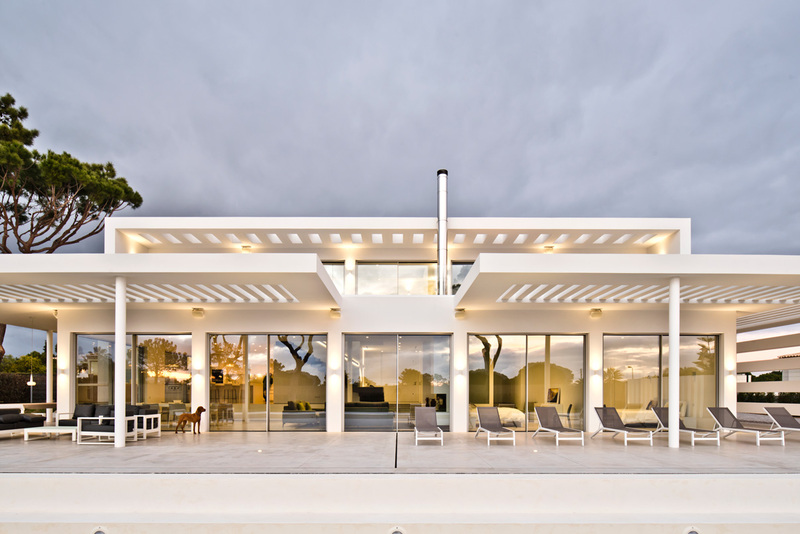 Intelligent and innovative solutions that integrate imperceptibly with the luxurious architecture and design on the inside and outside of your home. 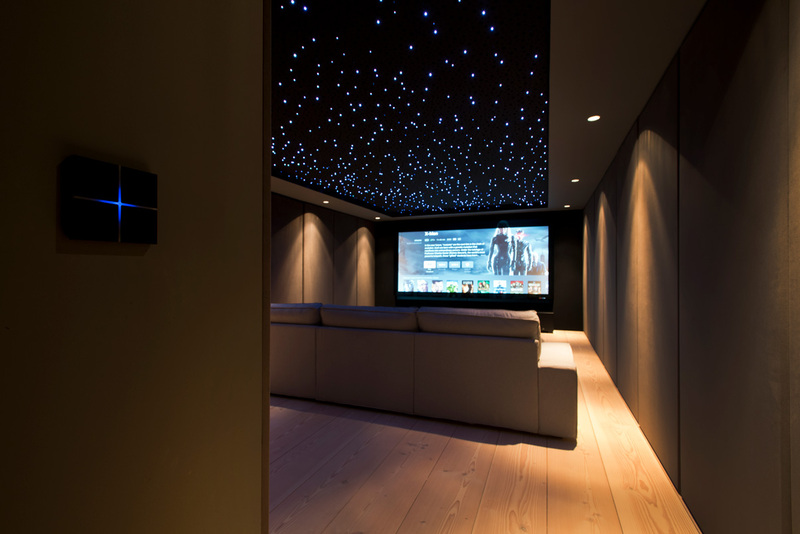 Watch and listen to whatever you want in any room of the house via a centralised system that’s easy to control.
. Systems integrated into the decor or hidden in special cupboards.
. All cables and components necessary to operate the system simply organised and easy to access. Pure lighting adapted to suit your needs in every room of your home. 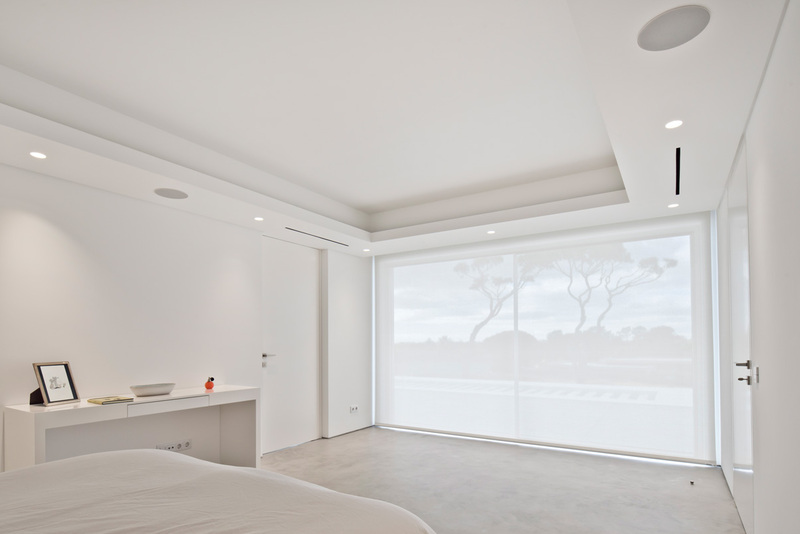 Set the amount of natural light by automatically controlling blinds and curtains. Create a cosy atmosphere by regulating the intensity of light and mood you want inside your home. Give even your outdoor areas the perfect sophistication. Provide the best atmosphere for entertaining friends in the evenings under the moonlight in the garden.
. Choise of colours for garden and pool lighting. The temperature you want throughout your home. Maintain a comfortable atmosphere, programme your bath, and regulate your spa and the temperature of the water in the pool. Don’t worry about the details, your home is ready for you whenever you want. Putting comfort at the service of luxury. We programme your heating system to suit your requirements and we set the temperature you want when you return home.
. A more efficient home using 30-70% less energy.
. Control of the garden sprinkler system. Do you have frequent problems with your Wi-Fi connection? Life Emotions ensures a service that puts Internet in all the rooms of your house with great signal, its channels available in all the screens of the house and the telephone in the places that you want. 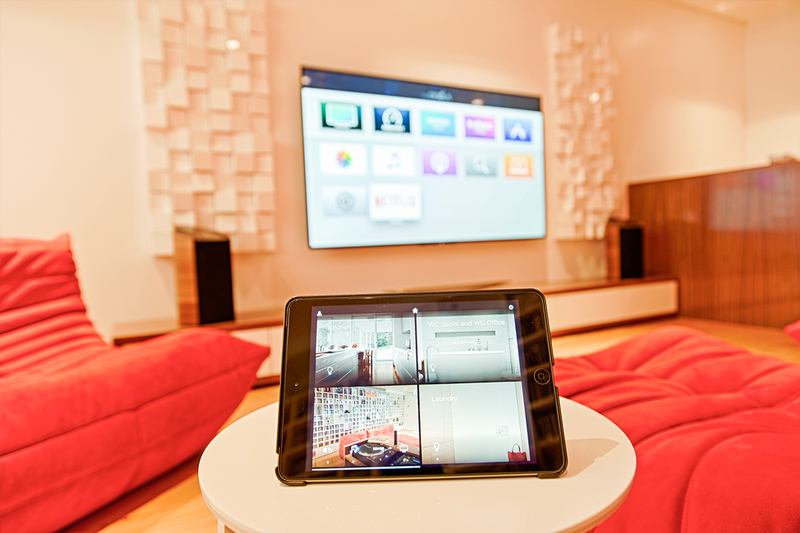 Control your home, anytime, anywhere, through a custom interface and tailored to your needs on your preferred mobile device. Surprise your friends every time you select an interface option on your stylish touchscreen, tablet or mobile phone.
. Customised interface on your smartphone. See who’s ringing the doorbell in real time via your smartphone and set who’s allowed access to the house through biometric data or fingerprint sensor. Your home breathes like a living being. Scenarios and routines are simulated as if you were at home, even if you’re away on a journey. Leave all your worries at the door. You’ll receive warnings about third-party intruders, smoke, fire, flooding and gas leaks and the relevant authorities will be immediately contacted.
. Security alarm for artworks in the event they are handled while you are away.
. Remote control of equipment for your security. Relevant authorities contacted immediately in the event of an accident or intrusion. Visit us and find out the sophistication of innovation. Life Emotions is an open and enterprising company. If you’re interested in a job or internship, send us your CV! We’ll get in touch if you conquer us with your talent and passion. If you want to get in touch, we will be more than happy to take on any project you have for us! Sign up for the newsletter and stay up to date with the best solutions for a lifestyle that’s made to measure.